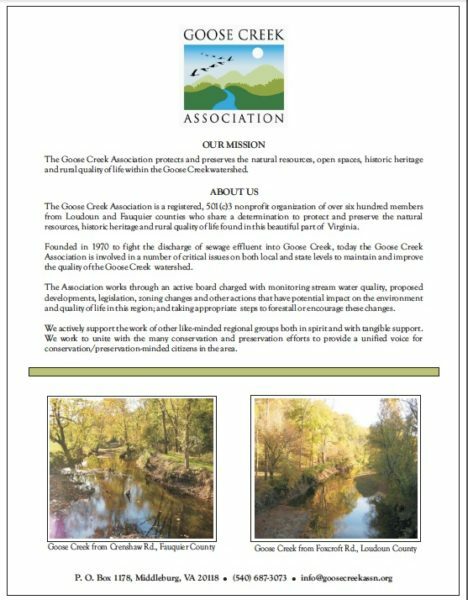 The Goose Creek Association is a registered, 501(c)3 nonprofit organization with hundreds of members from Loudoun and Fauquier counties who share a determination to protect and preserve the natural resources, historic heritage and rural quality of life found in this beautiful part of Virginia. 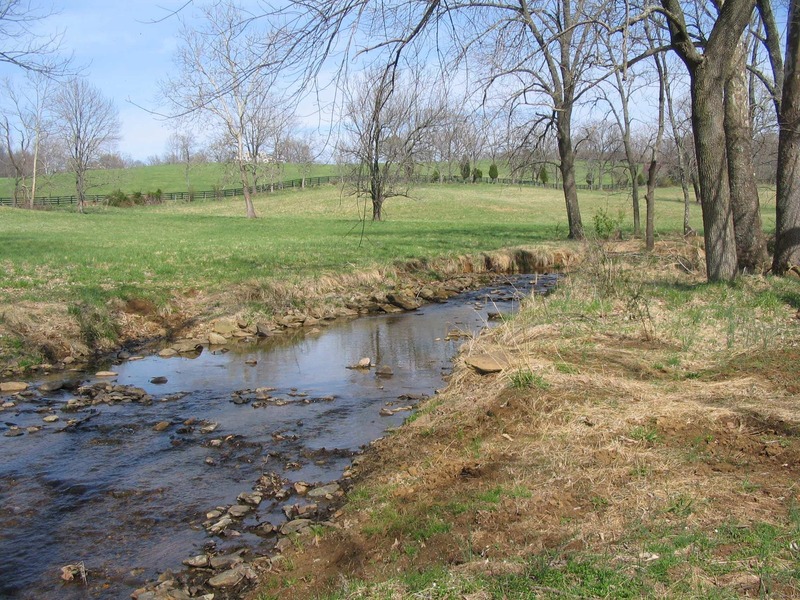 Founded in 1970 to fight the discharge of sewage effluent into Goose Creek, today the GCA is involved in a number of critical issues on both local and state levels to maintain and improve the quality of the Goose Creek watershed, that feeds into the Potomac and Chesapeake watersheds. 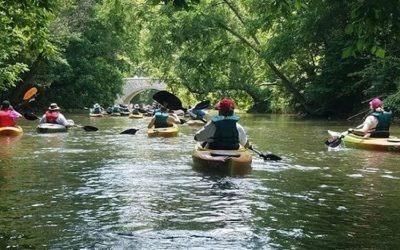 GCA works through an active board charged with monitoring stream water quality, proposed developments, legislation, zoning changes and other actions that have potential impact on the environment and quality of life in this region; and, taking appropriate steps to forestall or encourage these changes. 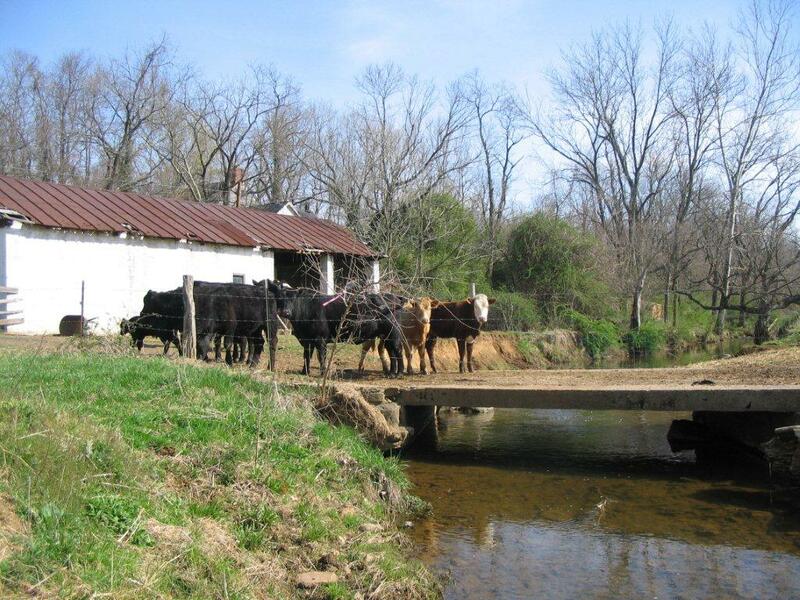 We actively support the work of other like-minded regional groups both in spirit and with tangible support. 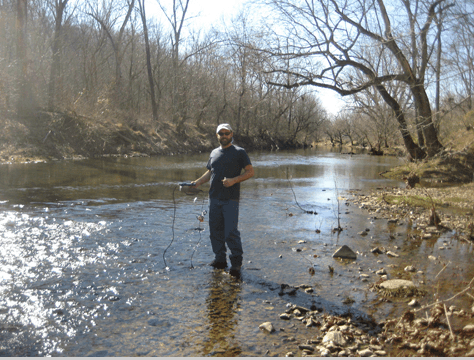 We work to unite with the many conservation and preservation efforts to provide a unified voice for conservation/preservation–minded citizens in the area. 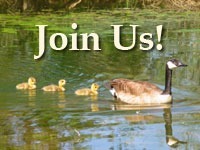 Join us and Make a Difference.